The Season 4 Patch will bring essential changes to guild warfare in Albion, including limits on swapping guilds and alliances. With the fourth Guild Warfare Season already underway, GvG warfare has once again come to the world of Albion. The Season 4 Patch, coming October 10, will bring an important change that has long been requested by the Albion Online community: limits on guild- and alliance-hopping. After joining a guild, you cannot join another guild for 24 hours. After joining an alliance, your guild cannot join another alliance for 48 hours. LEAVING a guild or alliance does not trigger any cooldown period. We've received a great deal of feedback on this issue, with the general sentiment that the ability to jump from guild to guild with no penalty helps larger guilds maintain their holds on territories and contributes to stagnation of GvG seasons by maintaining the status quo. As such, we're introducing it during this early phase of Season 4 to shake up GvG combat, keep the season interesting, and put smaller and newer guilds on more even footing with larger and more established ones. 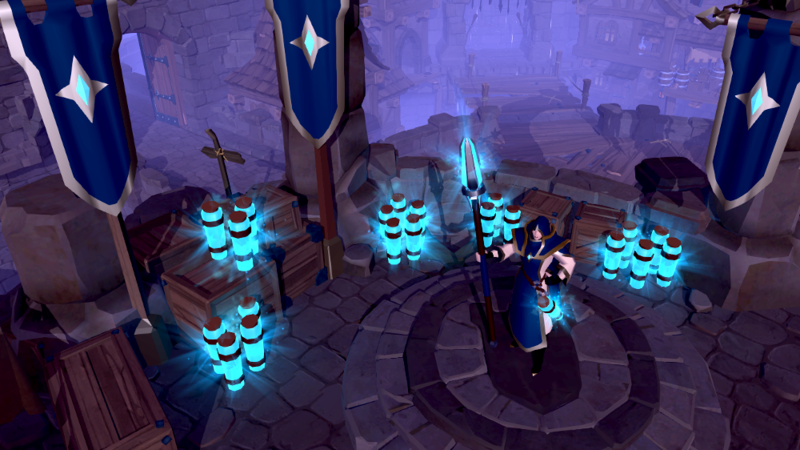 Additionally, based on community feedback, killing Siphoning Mages will now once again yield season points. In order to prevent exploits, this means that we're also removing the ability to place mages for energy. This change should open up the possibility for players to contribute to their guild's season success outside of GvGs and reset days. Also coming with this patch are Warhorses, a new item available from the Vanity Merchant in major cities. These mount overlays can be combined with any T5-T8 Armored Horse to create a Warhorse, which keeps the stats of the original mount while prominently displaying the owner's guild logo. 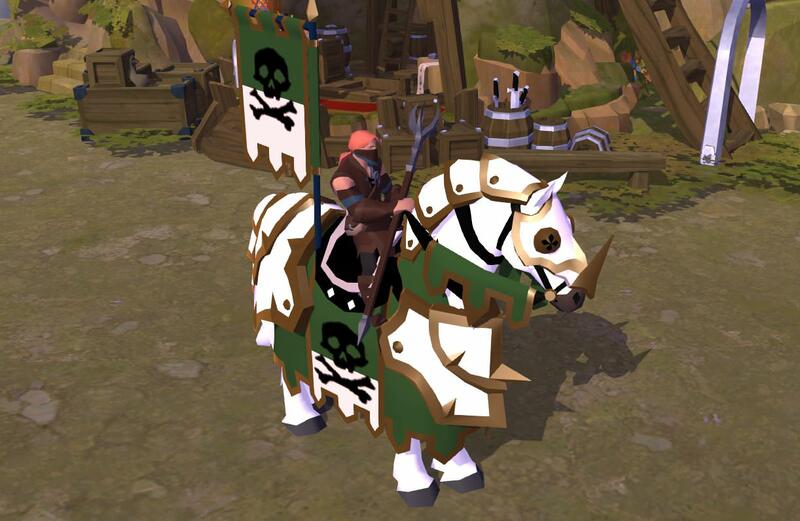 Warhorses are perfect for large-scale guild battles, allowing you to stay visible to fellow guild members, rally fellow alliance members, or intimidate your foes – and look good doing it. Based on community feedback, we've also updated numerous open-world maps to include more choke points, which allow for a broader range of combat options. Whether you're an attacker or a defender, make sure you're aware of these lower-mobility spots and use them to your advantage! All the details of the Season 4 Patch will be published soon in the Feedback Testserver forum.